“Andromeda”. Oil painting on canvas. 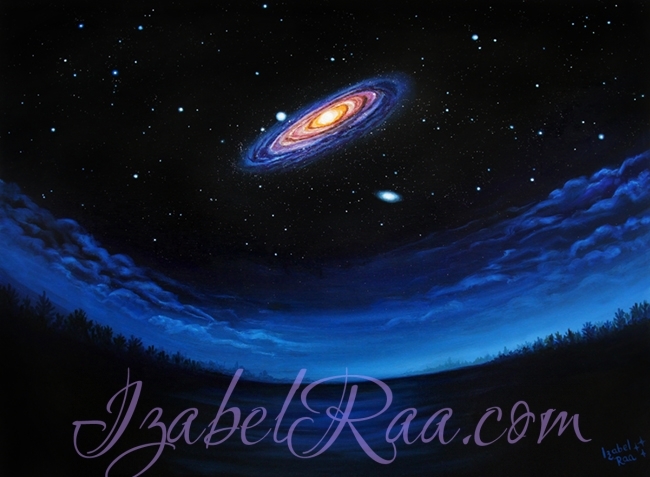 This painting is about the parallel reality from our future, when Milky Way Galaxy and Andromeda Galaxy approached each other so close that you can see Andromeda in the night sky with the naked eye.